It really should come as no surprise that Fresh Origins, the leading grower of microgreens and related specialty produce, chooses to farm in sun-kissed Southern California, particularly San Diego County. The area has one of the finest growing climates in the world thanks to the year-round sunny weather. Southern California is the ideal environment for Fresh Origins to grow the best and most flavorful microgreens and other specialty produce items. According to the National Weather Service, the climate in San Diego County is the most temperate in the country – with warm winters and cool summers. 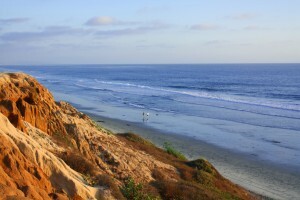 San Diego is in the same latitude zone as tropical Bermuda and Casablanca in North Africa. So, with its great location and the warm waters of the Pacific Ocean, the area has one of the most temperate climates in the world, giving Fresh Origins a major quality advantage over other microgreen growers in the world. The average annual temperature is a comfortable 63 degrees and the sun shines about three of every four days. In addition, it takes far more energy to grow microgreens in the Eastern half of the country due to the harsh weather conditions and the need to heat the greenhouse. The carbon footprint of these operations is significant and is far more than the small amount used to transport these very light-weight items anywhere in the country. With a climate such as this, Fresh Origin’s growing seasons are long and in most cases year-round. There is a major difference in quality, taste, color and shelf life with Fresh Origins microgreens. For those chefs outside of California, there really is no reason to settle for lower quality just because it is locally grown. In addition to microgreen farming, San Diego’s climate also sets the ideal stage for growing edible flowers, which is why Fresh Origins excels at it. Thanks to the year- round growing season, Fresh Origins is able to offer their Firestix™ and many other edible flowers to specialty produce distributors 365 days a year. Growing in such an unmatched climate, Fresh Origins has become the leading microgreen and edible flower producer in the country. If you are interested in featuring Fresh Origins Microgreens, Edible Flowers or other unique specialty produce, as a part of your menu, please contact your specialty produce distributor.